But did you know today is actually National Mario Day? Mario Day is a real thing that celebrates the video game character on March 10, which when abbreviated to Mar. 10 sort of spells out Mario. Starting Saturday, Mario Time is an available feature when using Google Maps' navigation function on the latest iOS and Android app version. The update made available from today itself so you would be able to bring the Mario to your Google Maps by updating this application on a respective Smartphone. This isn't the first time that Nintendo and Google have teamed up like this. 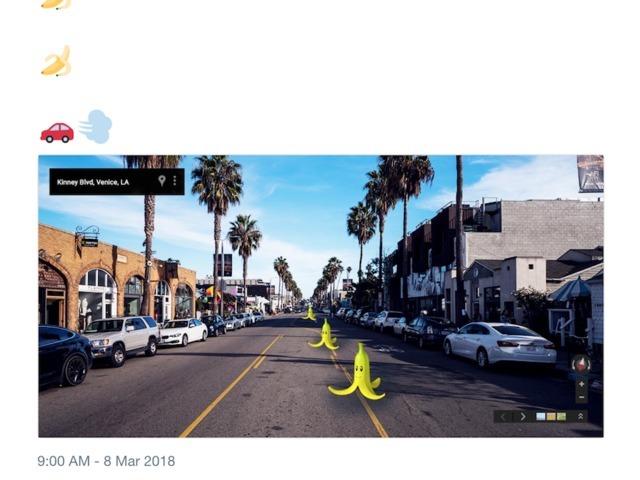 On Thursday, Google tweeted an image of Street View in Venice, Louisiana with banana peels from Mario Kart lining the road. Google has also included a hidden Easter egg in Mario Time: tapping the yellow question mark icon 100 times will trigger the familiar 1-UP sound of Nintendo's Games. At that point, the usual navigation arrow will turn into Mario himself. Are you looking forward to having Mario accompany you in his kart on your routes? The event was originally teased a few days ago with a peek at some of Mario's famous items, but has now been officially revealed as the Super Mario Crossover Event. To celebrate this special day, from March 10th to March 25th, you can purchase Super Mario Run for a special price of up to 50%* off!